What would you eat if there was an emergency? 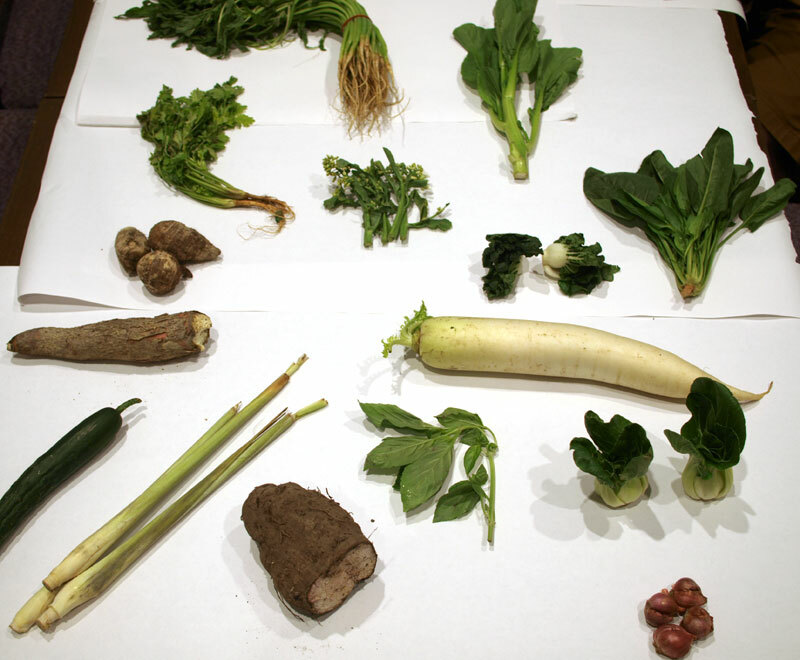 If catastrophe strikes, what plants are YOU growing, and what do you have stockpiled in your pantry? What would you like your last meal to be? The Center for Genomic Gastronomy has very much enjoyed it’s stay in Singapore, but all good things must eventually come to an end. We’d like to finish with a BANG. Join us on Friday 28th September, 2012 for the RECIPES FOR DISASTER picnic in the botanical gardens near Symphony Lake. 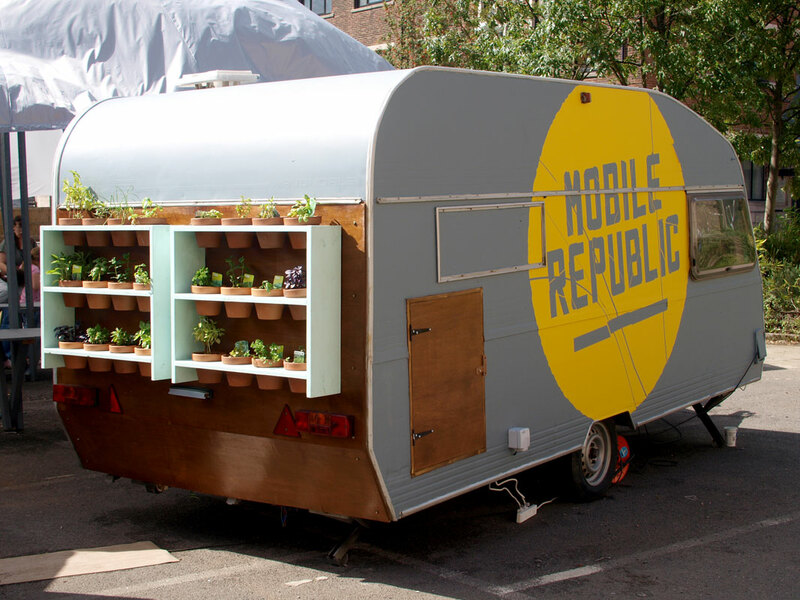 Bring along a dish and taste test your way through other responses to the apocalypse. We hope to document the recipes and the stories behind all the dishes that you bring. Some apocalyptic themes that might inspire your dish: Peal Oil, Water Wars, End of Days, the Singularity. What does climate change taste like? The three groups that formed on the first day continued where they left off in the morning of day two, with the goal of creating a very basic prototype by the end of the day. A group of 12 NUS undergraduate students joined us for the second half of the day. Denisa took them through a brainstorming exercise to think about extreme scenarios for eating during the anthropocene, and then they split into groups of three to work on different projects: food forecasting, future imaging and hunting for unusual ingredients. There were no chemists on the team, so finding simple testing methods for mercury or pesticides proved difficult. However, the team uncovered a number of easy ways to create DIY ‘pH paper’, or even liquid. An overview of different methods was found here. Deciding to try the Red Cabbage method, where alkaline changes the paper to green; acids to red, we brainstormed various applications for this pH detector. What pH do different foods have? What does it mean to eat an acidic diet or an alkaline diet? How would knowing the pH of your food affect your eating habits? From dipping pieces of food into the pH cabbage water, to soaking wooden chopsticks in it to make them pH sensative, eventually we decided to try and create a pH sensitive tablecloth. Given time constraints and lack of ingredients, this was not completed in time on day two, but distilled water is currently being infused by red cabbage in order to have a prototype ready for tomorrow’s symposium. Jaz and Cat looking for methods to make pH paper and red cabbage soaking. After going through a number of possible interface designs (wheel of chance, strong man fair-ground scale, pinwheel) we settled on prototyping a dice, because a working prototype could be made quickly, and it is easily transported and replicable. The dice could be used at an event such as the Massivley Multiplayer Carbon Reduction Dinner Competition which is like a playing card game where you eat as well. Each diner is a player, and rolls the dice at the start of the course (amuse bouche, salad, appetizer, main course, side dish, desert). Each dice roll determines which version of the course they will get. Different versions have different ingredients and different carbon loads. Every player gets one chance to re-roll during the game, and there only limited numbers of each kind of plate. The last one to roll gets stuck with whatever is left, and the order of the dice rolls changes each turn. The eater with the lowest carbon count at the end of the meal wins! (And everyone hopefully has a good time leaving the complicated ethics of carbon accounted food up to the roll of the dice). The idea of chance continues to be an interesting and unexplored technique for changing behavior, and removing information overload around personal environmental choices. This group got started the morning off by discussing ways for the prototype to manifest itself. 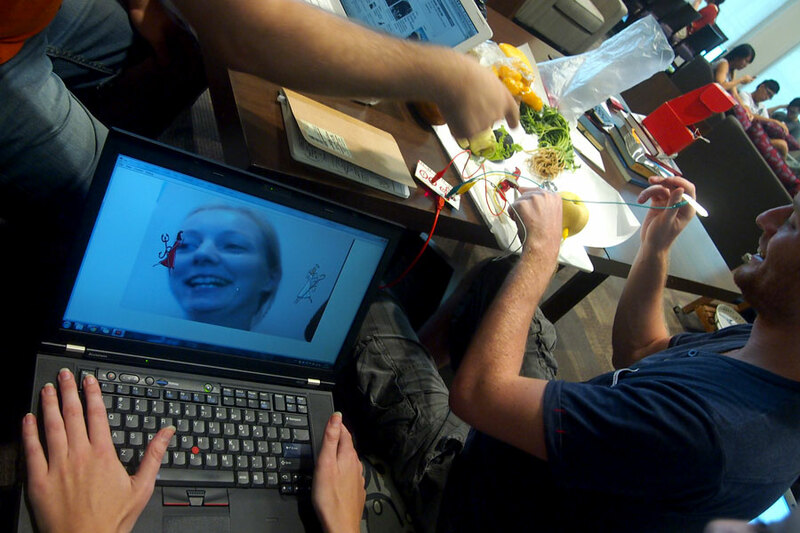 Using a makey makey as a prototyping tool, they decided to create an interaction between a human eater and an avacado. When the eater cuts into the avacado, it triggers audio that either tells you good or bad big data health consequences related to eating avacados. The audio was developed as a script of the ‘good angel’ and the ‘devil’ as a classic symbol of the mind wrestling with morals, desires, and consquences, but in this case a battle of the good data vs the bad data. In addition, this interaction happened in front of a computer with a webcam so the eater sees herself reflected. As the avacado is sliced and diced an angel or a devil appears on the eater’s shoulder depending on what audio is triggered. This was an additional excerise with the group of undergraduate students. 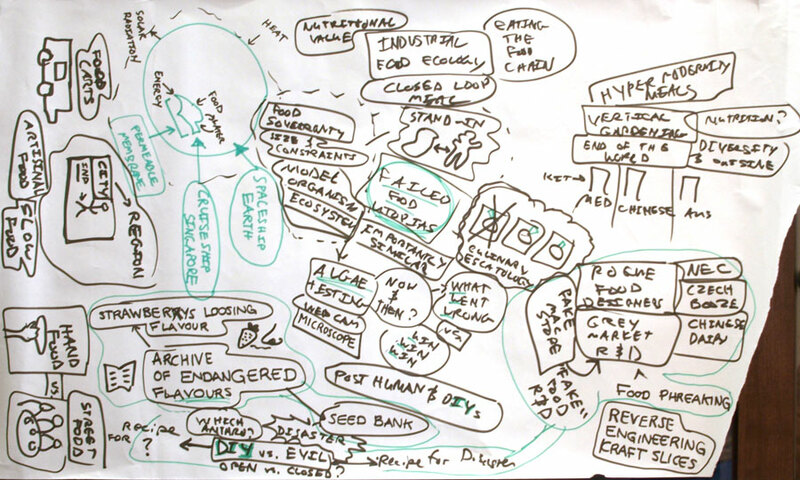 Taking inspiration from trend forecasting practices, this exercise was devised to imagine what a food forecasting practice might be like. The Center has long considered how certain ingredients go from being somewhat fringe to being ubiquitous in supermarkets and at restauraunts. For example, the rise of pomegranetes and black garlic in Western cuisine. Is it linked to scientific discoveries? Celebrety chef recipe books? We wonder: can food forecasting be used to create meaningful changes in the food system, or simply new fads? The students were divided into teams and had to imagine what food trends might emerge in the future. Zack played the Boss of a food forecasting company and the teams were working for him. At the end of the exercise, the two teams presented their food forecasting ideas to a panel of judges that decided which trends to take forward. Day 2 allowed us to refine our initial ideas, and create some simple prototypes. At least a few of these ideas will be carried on in our research over the coming months, and it was a treat to engage with so many different thinkers and makers. Today the Center hosted day 1 of a 2 day workshop on “Designing in the Anthropocene: Food, Health & Climate” that will conclude with a symposium later this week. The National University of Singapore have been great hosts, with faculty, students and complete strangers dropping by on the first day of workshops. (We even had a faculty member from Nanyang Technological University). The morning session was spent brainstorming possible interesting topics, in relation to food, climate change and food security. Singapore’s status as a net importer of almost everything (food, fuel, products) shaped our brainstorming process. 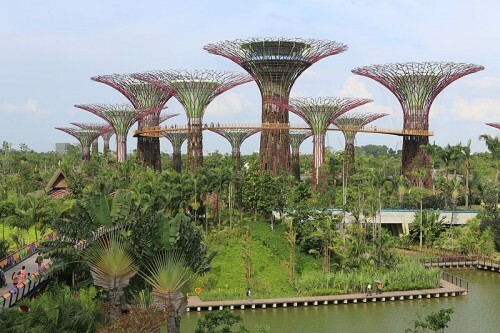 Singapore’s government and many inhabitants are aware of Singapore’s reliance on many flows outside of their borders in order to survive. One participant described Singapore as having a “permeable membrane”: many things flow through Singapore, but the government is very careful and choosy about what they want to stay within the border. Another metaphor we developed was “Spaceship Earth: Cruiseship Singapore”. * Korean nobility used silver chopsticks so that if there were poison in their food the chopsticks would corrode. A good example of food & sensing technology from way back. * There is also the idea that nobility in Europe would “Cheers” and clink mugs of beer/mead so that if either was poisoned, both eaters would suffer the consequences. Both of these examples we relayed by word of mouth, and no one in the workshop knew for certain if they were real or merely legend, or how exactly they worked. However, these examples helped us start to imagine what kind of new food rituals might be useful for eaters today. Most of us are not worried about being poisoned by political enemies, but rather by the pervasive and ambient toxins and pollutants that humans have released into the biosphere. 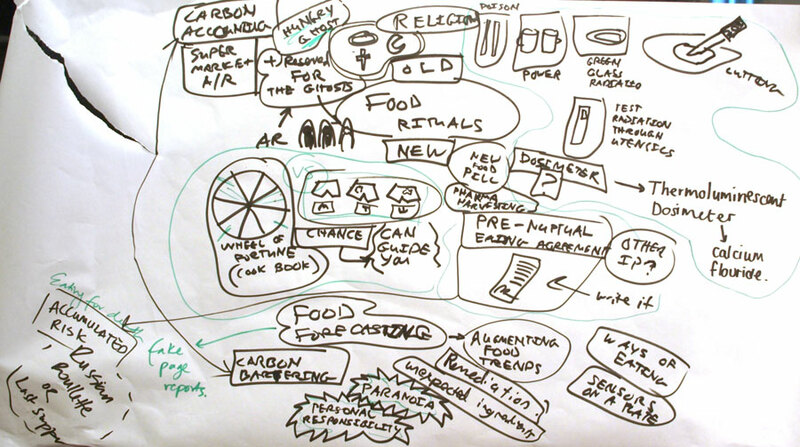 In day two we hope to prototype a couple of food rituals. The second track began as a series of ideas about recipes relating to the end of something: vanishing flavors and genomes, eating during peak oil, cuisine & climate change. 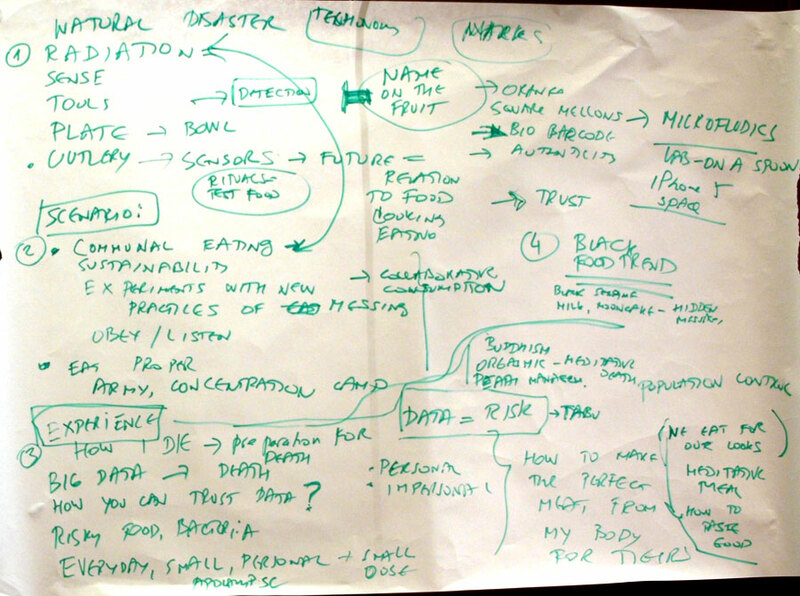 However, one of the groups started looking into failed food utopias and possible future food utopias. Historical examples have suggested that globally humans should turn to eating insects, algae, breadfruit or nutritional yeast. However, these top-down modernist ideas often ignore flavour, culture and preference, so the group decided to investigate of ways to cook with the utopian ingredients. By creating recipes that represent these failed utopias on the plate, the group hope to initiate a material exploration of failure and dreams for the future. The third strand are interested in how big data effects the way we eat. Making the ‘right choice’ when consuming food is very difficult when every week new research reveals raised chances of cancer or new health benefits of a specific food. The amount of information available is overwhelming, and to what end? Death is always the inevitable conclusion to life. So this group decided to create a tool for preparing you for death. What would it be like to eat an avocado and be told all the negative effects of this activity in the process? What would it be if you were told only positive effects? What would your dining experience be like if you invited Big Data for dinner? This is the starting point for this strand, and in day two they plan to prototype this experience. Denisa Kera, CNM FASS, NUS. 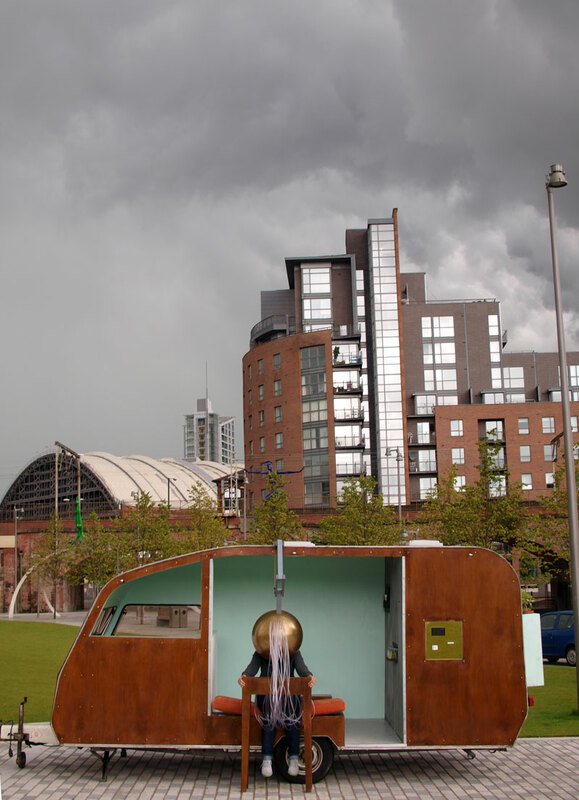 Critical design, art, and activism use food to reflect upon present STS (Science, Technology and Society) challenges. Do these provocative projects empower the public or they only amuse or even pacify and desensitize? Is it vanity or an effective form of a protest or even a call for a more socially responsible innovation? Jodi Newcombe, Carbon Arts: The Cross(x) Species Adventure Club: An edible model for arts and agency? Carbon accounting and various data bring new strategies for both research and design dealing with various environmental challenges. Do they support technocratic dreams of a full control or they provide new means for sustainable design and more complex research strategies for STS? Food as a medium and topic in education. What are some new educational efforts in Singapore, which use molecular gastronomy and research of various food cultures as means of teaching? What makes such education based on everyday, visceral and embodied experiences different? 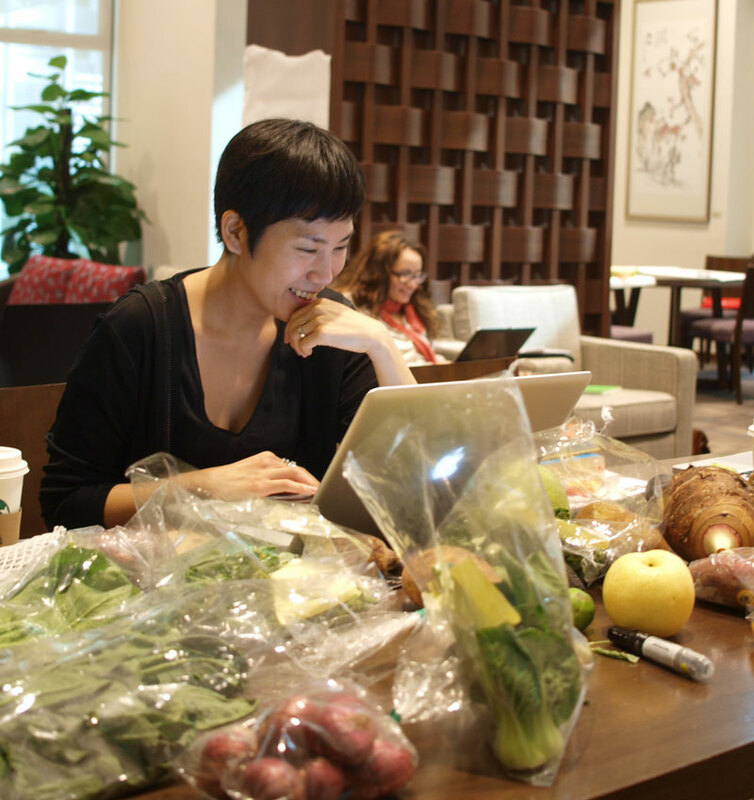 Do we need Food studies in Singapore and how would we envision them? 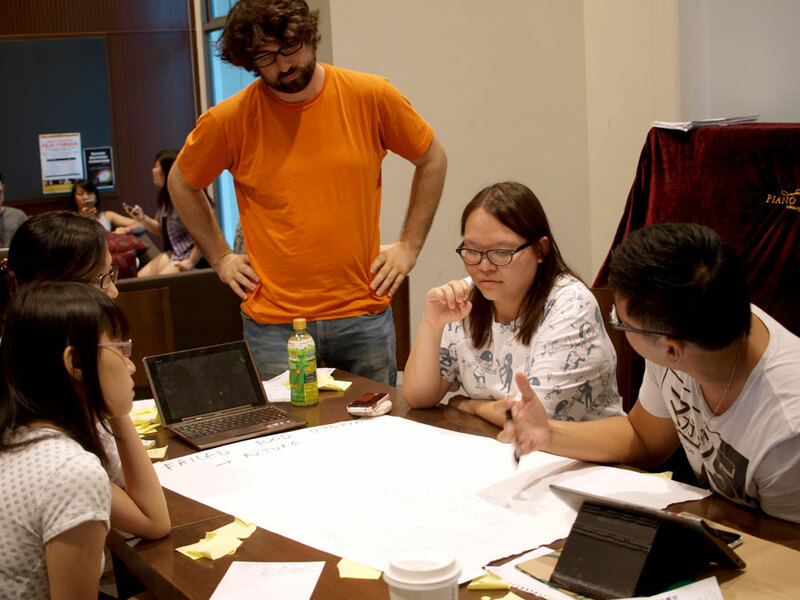 Projects and initiatives from Singapore and Indonesia, which connect traditional food cultures with design, STS and entrepreneurship to support various communities and creative projects. Can we scale traditional food-culture paradigms to compete with the demands of the globalised, mechanised food systems? the exploitation of biological processes for industrial and other purposes, especially the genetic manipulation of microorganisms for the production of antibiotics, hormones, etc.. This diagram shows some of the biotechnologies that we have been exploring at the Center. Unlike the above dictionary definition, the Center takes a broader view of what constitutes ‘biotechnology’. 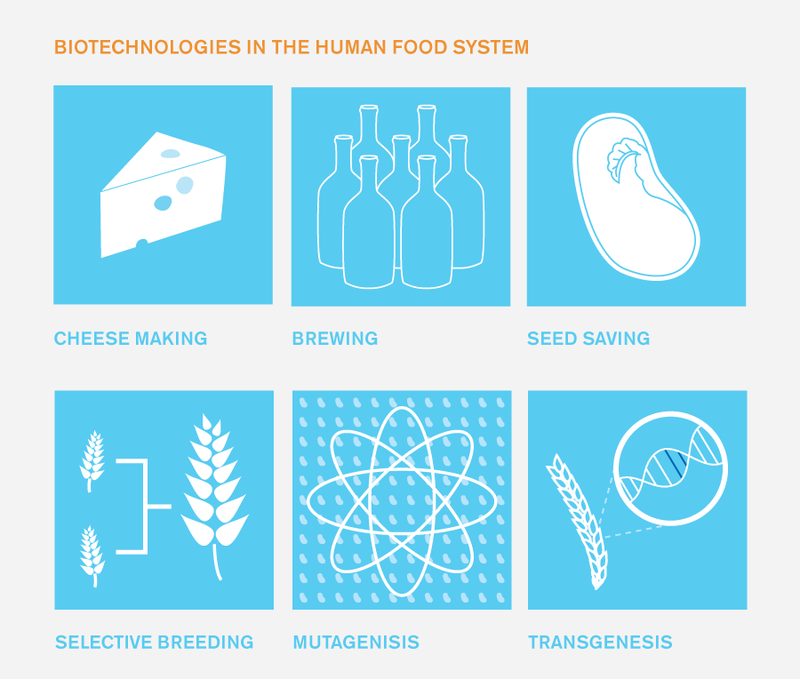 The diagram illustrates just a few of the biotechnologies employed in the human food system. Contemporary debates are often fueled by the hype of a new technology, forgetting older ones that have been assimilated by everyday consumption patterns. This diagram can be one tool to help think through the lineage and history of biotechnology. Rather than having polarized debates about hopes and fears of emerging technologies, comparisons can be drawn from historical examples. How would the GM debate in the UK have been different if comparisons were made to the mutagenic experiments of the 50s? What conversations would arise from having cheesemakers at the table when creating new policies for GM breeding programs? The exploitation of biological processes for cultural, political and economic purposes, including cheese making, brewing, pickling, the genetic manipulation of microorganisms for the production of food, antibiotics, etc.. If you have any other examples of biotechnologies that you think we should add to the diagram, email them to us and we’ll keep building on this initial gesture to make a more detailed directory. The Centre for Genomic Gastronomy had deigned a exciting new culinary commission, the Spice Mix Super-Computer! The Spice Mix Super-Computer is a massive mobile food machine, which allows users to create, print and taste a unique blend of spices from millions of possible combinations. 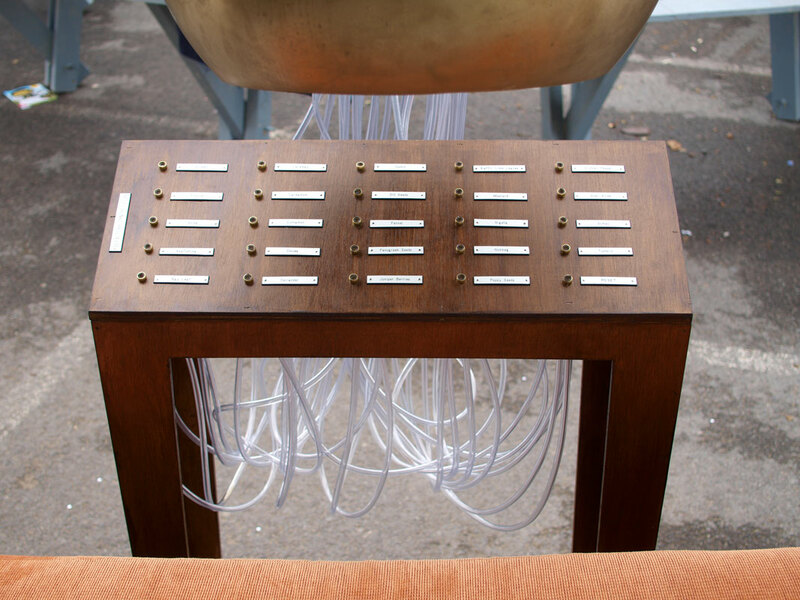 First, plug into the bespoke Olfactory Synthesizer to combine and compare smells from our database of international spices. Then, choose your favorite spices and watch the computer process and interpret your selection. After the food-printing is complete, take your customized container of spice to the BetaTaster™ food counter and share your recipe and experience, and take home your spice mix to share with others. Spices are one of the oldest forms of long distance communication on the planet, but we do not usually treat them as information that can be combined and disseminated as a form of human-to-human communication. Digital technology has created opportunities for individuals to mix and share images and sounds across great distances, but not flavors and smells. This project assembles spices from all over the globe, allowing individuals to customize, mix and spread smell and taste messages with other humans. 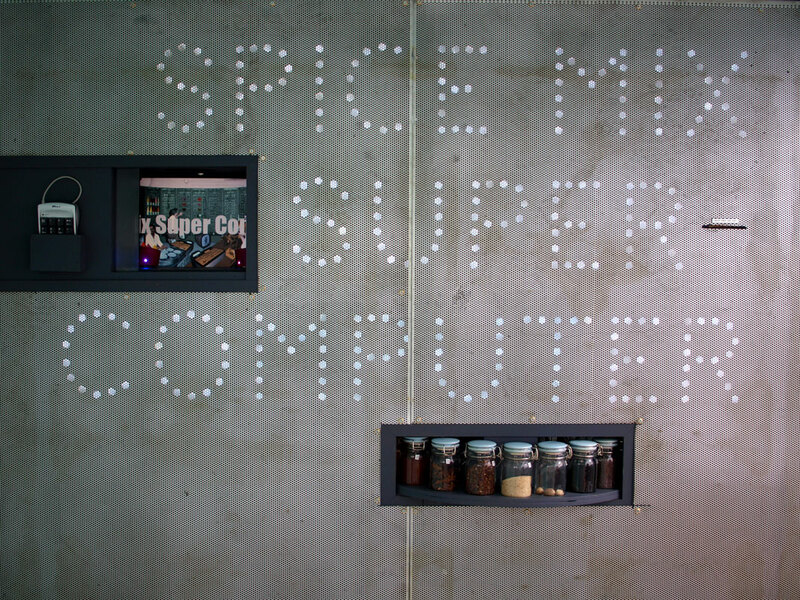 The Spice Mix Super-Computer is designed to record and store every possible spice combination, analyzing user preferences and patterns along the way. We hope this data will begin to reveal the underlying structures and the role of spices in the agri-eco-culinary system. Are combinations of spices strange attractors, naturally aligning, or can we open our mouths and minds to novel combinations of smell, taste and chemical reaction? But be careful: spices are dead and dried plant corpses with the substantial power to direct and regulate human activity. Many spices come from poisonous plants, and have powerful physical and mental effects on humans. If you are mixed up with spices how do you know they are not using you to achieve their dark designs? Might a heretofore untasted spice combination unlock a door to unexpected culinary experiences and states of consciousness? There are not enough BetaTasters™ on the planet asking these questions. The Spice Mix Super Computer can help.